Fastkart Indoor Speedway is an Adrenalin Rush indoor go kart racing company where our GAS karts reach speeds up to 40 MPH. Fastkart caters to walk-in customers and corporate clients from around the world. In addition to entertainment, Fastkart produces equipment for sale to other track operators worldwide. Fastkart Indoor Speedway was create by the owner Joe Miller in 1999 with his first location in Spokane WA. Thereafter Fastkart has grown quickly by adding 3 more location in Utah. Fast Kart is in Ogden, Salt Lake City and Orem/Provo. 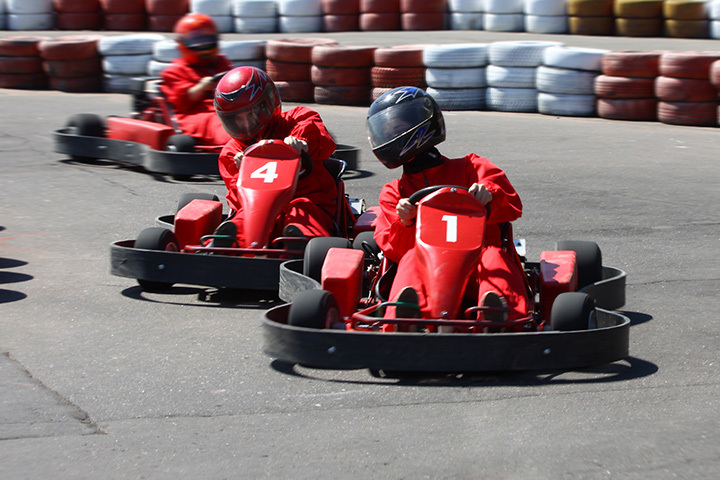 The Fastkart philosophy is to create a fun exciting outing for individuals customer to fortune 500 companies utilizing our facilities for team building & corporate outings. We truly believe that the customers comes first and our objective is to create great memories for everyone that walks through our doors.